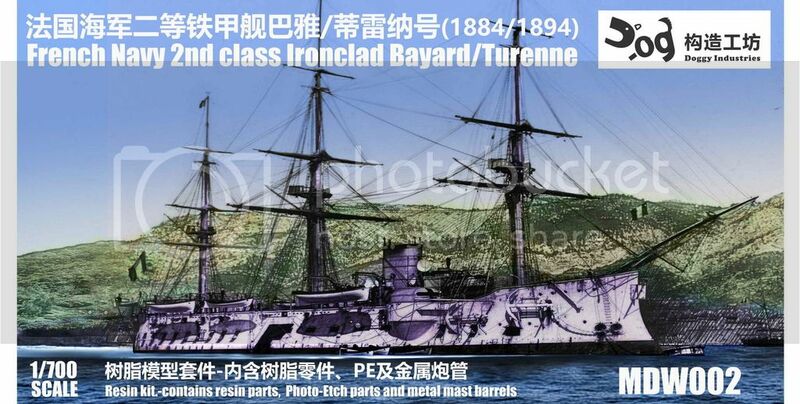 Bayard and Turenne were two early French navy Wooden-hulled ships with steel upperworks and unarmoured barbettes. Bayard completed in 1882 and became the flagship of the Far East Squadron In June 1884, but she took no part in the battle of Majiang (Fuzhou). At the Battle of Shipu (14 February 1885), two torpedo boats from Bayard attacked the Chinese frigate Yuyuan and sloop Chengqing from the Nanyang fleet. At the end of Sion-French war, commander of the Far East Squadron, Admiral Amédée Courbet, died on board Bayard in the harbour of Makung. After the war, Bayard and Turenne Modernized in 1890s and finally scrapped in 1899 and 1901. 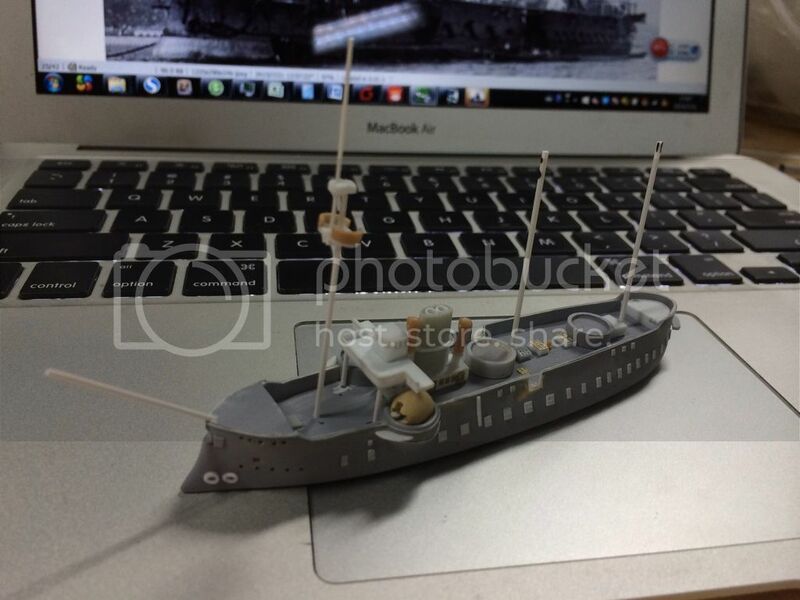 This ship is very active near China and her appearance is interesting, but there is no model of her. I find the plan of it about 5-6 years ago from the French official website so I decided to scratchbuild it. 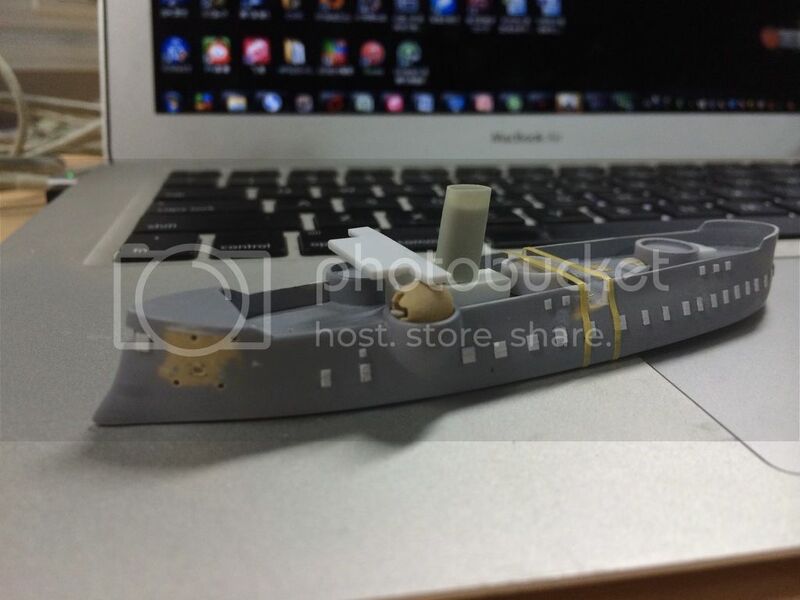 I think this ship is really interesting so I decide to cast it into resin. So now I have began my small business and labelled my model as "doggy industries" . This is the only Authorized seller of the Doggy Industries Models. 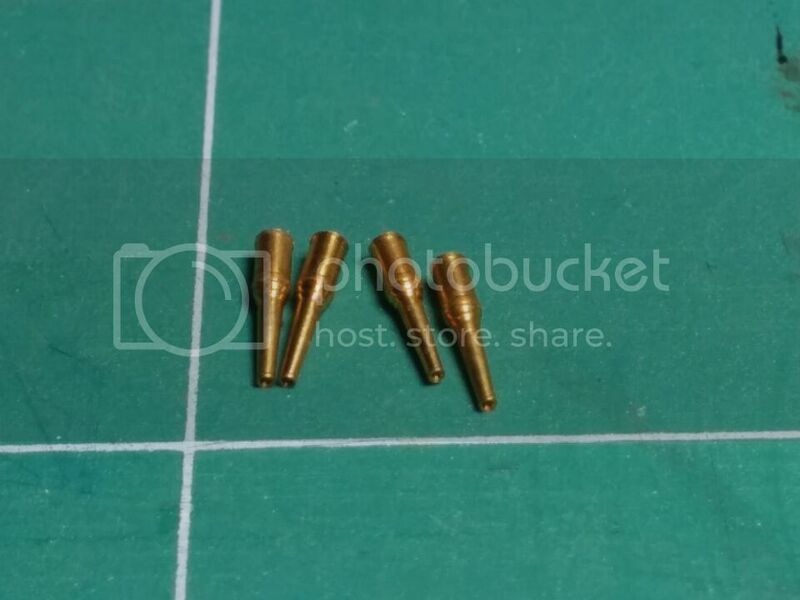 If you find any Doggy Industries Models from other seller, e.g. 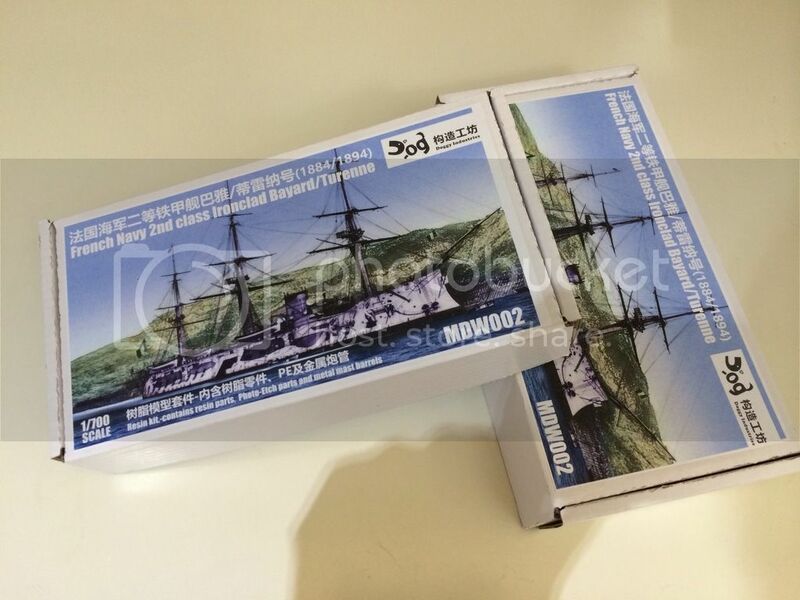 from WUHAN, is the Unauthorized COPY of Doggy Industries Models. Very nice! 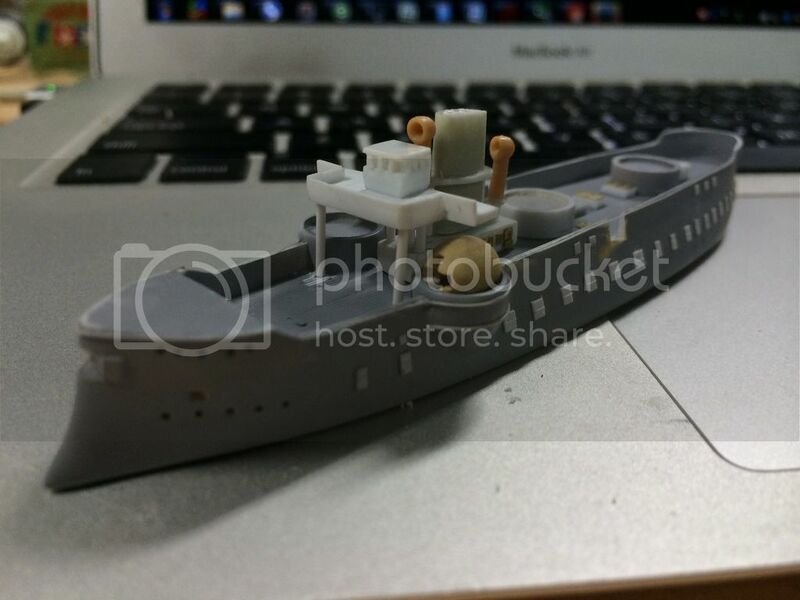 Your scratch-building skill is superb, and the kit looks really good! I am really interested in this! 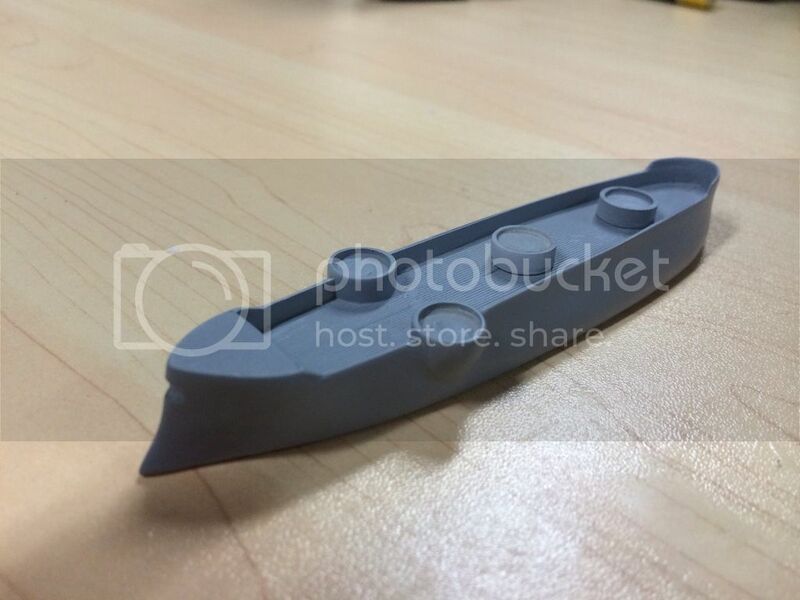 Question: do you design the PE parts yourself? And how do you etch them? And what about the brass gun barrels? Do you make and cast everything by yourself? I'd love to see more ships produced by the doggy industries! Great subject for a kit! 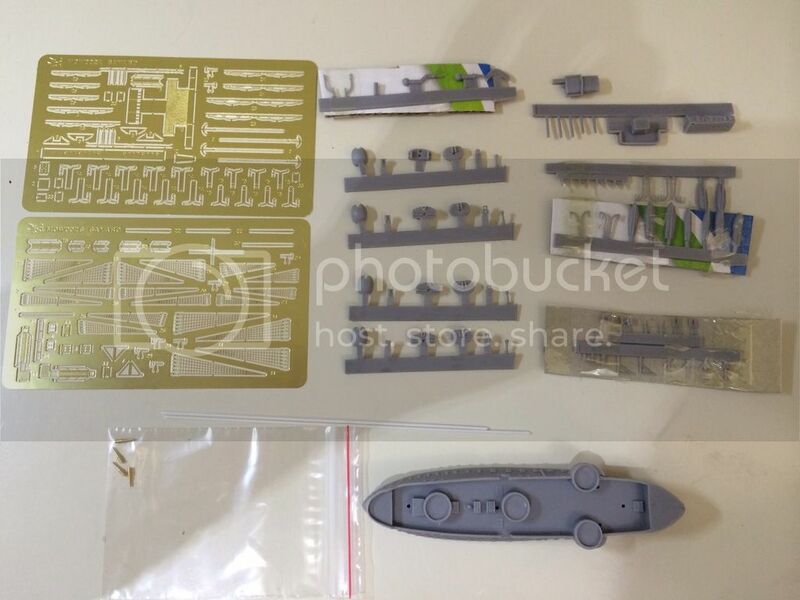 I already ordered it - but from xinghobby, which is the wrong source for your kits? I saved the link to you for future kits. 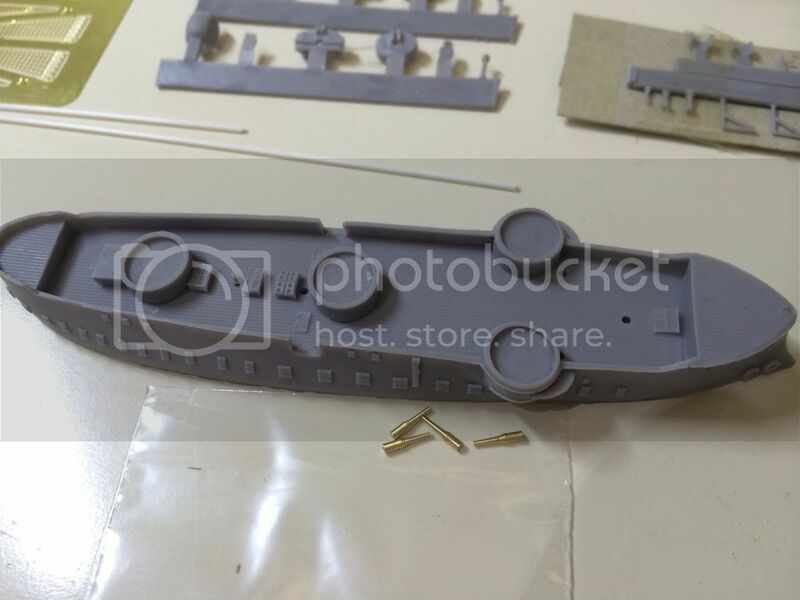 Do you plan to release additional kits from ships from that period? 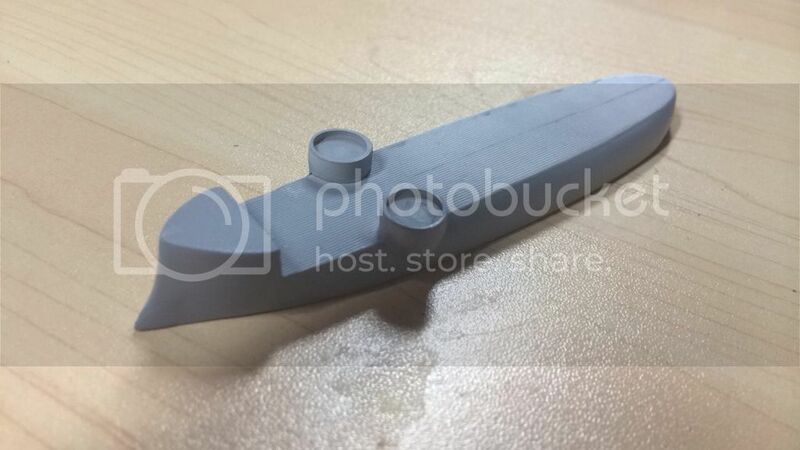 For this ship, one of my friend and I design the PE part and the barrel together, and they are produced by some local factory. Unfortunately, yes. The "xing" make the unauthorized copy of my model, that is what I said in my notes. If you receive their copy, please take some photo and send them to me. It will help me to find the source of those illegal copies. I really like that period and I will keep making ships from that period. 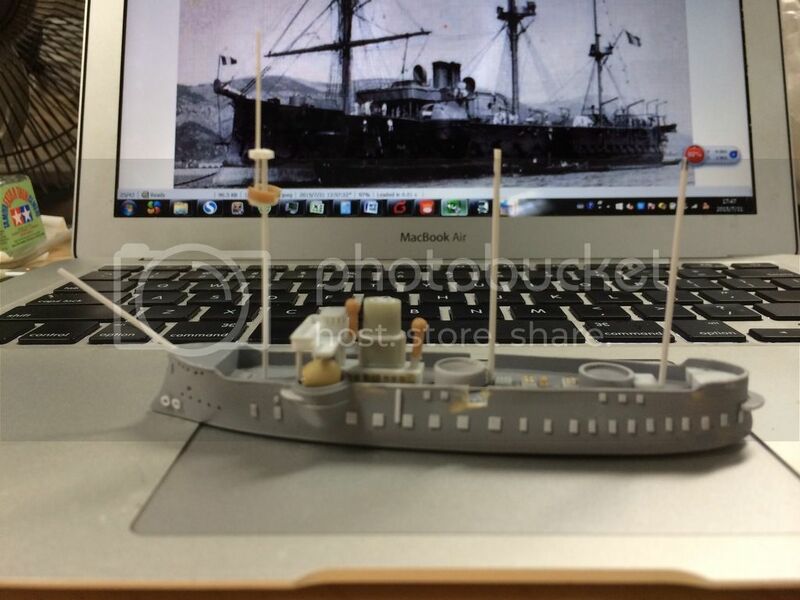 Now another French small ironclad which also take part in the sino-French war is working in process. 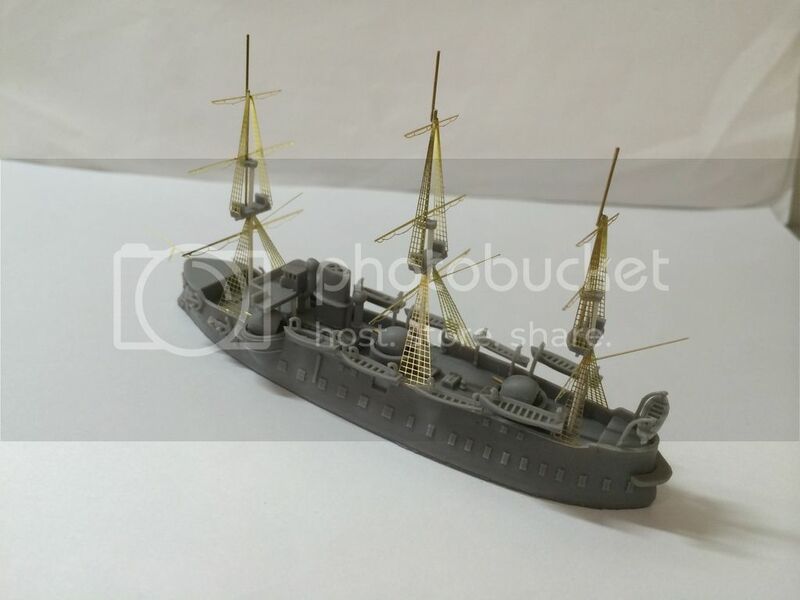 But since most works done by myself and some of my friends, it will take a long time for a new ship. I am sorry to hear that I will send you photos when I got the kit. 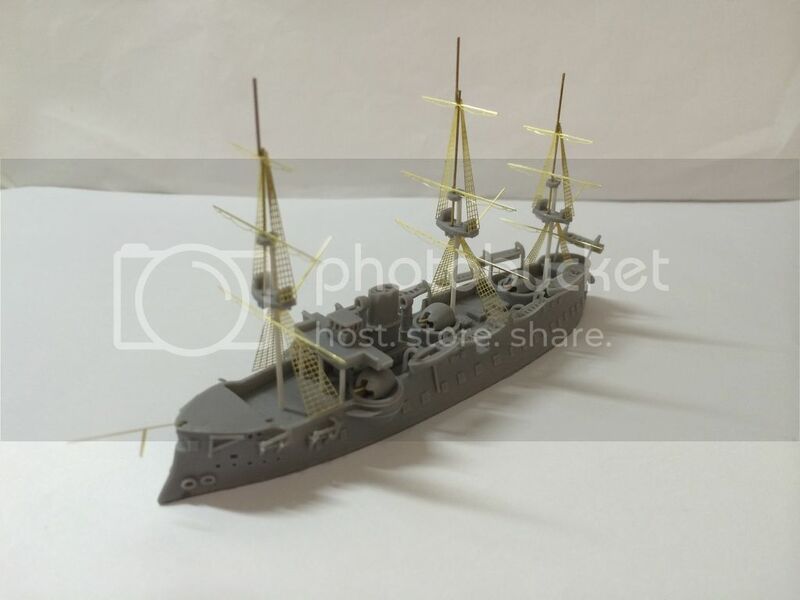 Good news that you are working on another of these ironclads! I have some drawings of the Alma class and Victorieuse plus some of Duguay-Trouin - if they would be helpful, write me. Wow, what a great piece of work. And, good for you for deciding to produce it in resin. I know you are most unhappy about having your work copied but, in its own way, it is a complement to your work. That said, I hope you shut the bastards down. What a cool little vessel. I'd be interested in purchasing one as well. Always glad to support people like yourself! As I 'broke' the news on the main forum (having ordered the copy version) I've ordered one from you as well and will try and ducument the differences between the kits. And decide which one can become Vauban/Duguesclin instead of Bayard. The first kit (probably the 'resold' one) has arrived. Looks like a nice kit so far, especially the PE. Love the way you have done the yards. If one glues a .5mm piece of brass behind them they should be very strong and it save the trouble of adding the footropes by hand. The hull was slightly bent in transit to it is now under a heavy book for the night after the hot water treatment. 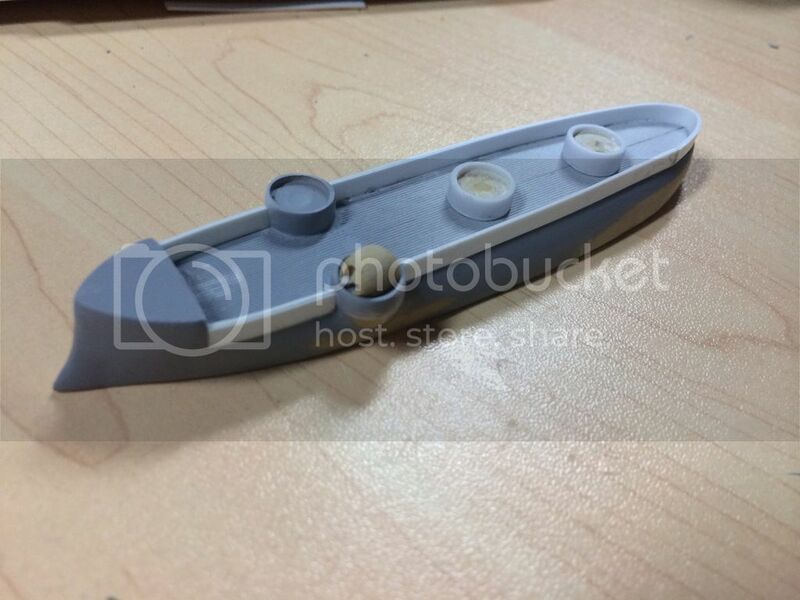 Minor nitpick: it has the funnel of Turenne right? And I hope that you manage to track down the pirates. When I was working as an architectural sculptor, I and the company I worked for had a guy contract us to do some work for his house (A fountain, some arches, and doors that all had scenes from Ancient Persian and Babylonian Mythology on them). And then the guy copied them and began selling them in Iran and Afghanistan. I would not have given a damn if he just copied them to add others to his house, or other houses he owned (as long as he never sold them). But the fact that he seems to have known before hand that he was going to copy them, and he essentially used us to create the originals so that he could then steal our work..... That made me more than a little upset at anyone who steals others work. Thank you very much and I will try to make some other ship from steam period. You can check the address of the packet, if it was sent from Beijing, it was sent by me. 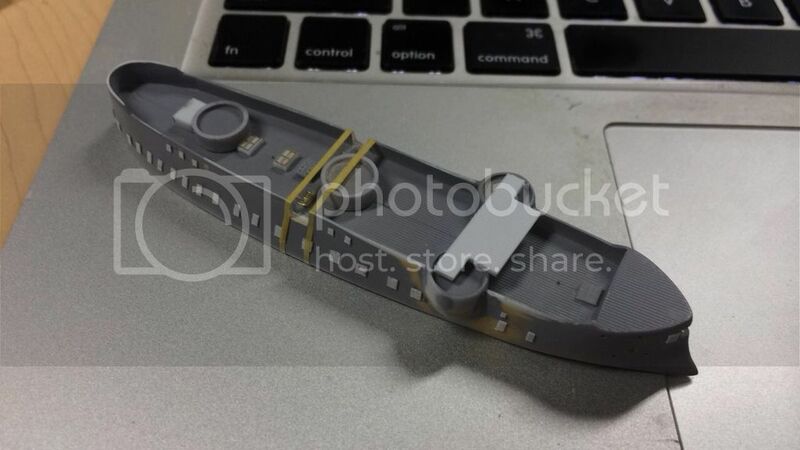 Yes, its from Beijing. Let's see if the other one still shows up. I'm at work now,I will try to post some pictures of the painted and straightened hull tonight. Just ordered mine (as others here I have ordered earlyer in June the pirated version)! Keep up making your models, I guess there are others like me, that will enjoy your works. First paint on, still needs some work as you can see. The hull has been straightened and I have sanded down the square scuttles a bit. I will start my own build thread after this. Received parcel, beautiful kit . Just received mine, looks good. byl.yu8 and the kit was rapidly delivered. My first impression is very good. You did 2 very nice kits !!! Is it possible to combine the shipping cost for the 2 ? At the moment, ebay doesn't allow this possibility.